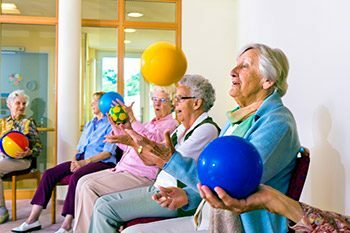 low impact strength and fitness class – ideal for residents at care homes. unique seated dance and movement to music class specifically designed for residents in care homes and delivered by a trained instructor. We are currently working with several care homes, residential homes and groups in the local area and offer a 30-45 minute session for up to 20 people at a time.